10 Questions To Ask Yourself Before Purchasing Advertising Materials. Whether it’s an outdoor sign to indicate your location, an advertising inflatable to grab attention, or custom printed items to offer to customers at trade shows, advertising materials are vital to every business. However, with so many options available, selecting the advertising materials that are best for your business can sometimes prove challenging. Whether you’re thinking big or starting small, these ten questions can help you make the right decision about which advertising materials are right for you. Ask yourself these things as you consider different advertising and promotional options; the answers can help direct you toward the products that will best help you reach your goals and increase your business. Do you have a plan for how to use these advertising materials? This is an important question to ask yourself before purchasing any advertising or promotional item. Do you have a plan for how to use it? For instance, while an advertising inflatable is undoubtedly a cool promotional tool, if you don’t have a good space to display it, this might not be the best advertising material for your company unless you make a plan for how and where to display it. As you begin to browse the offerings on the Above All Advertising website, keep track of what products you like, but also consider how they could be put to use for your company. Considering the applications of a given advertising material can help you decide if it is the right item for your company. When purchasing advertising materials, it’s a good idea to consider your goals and what you hope to gain from the items in question. 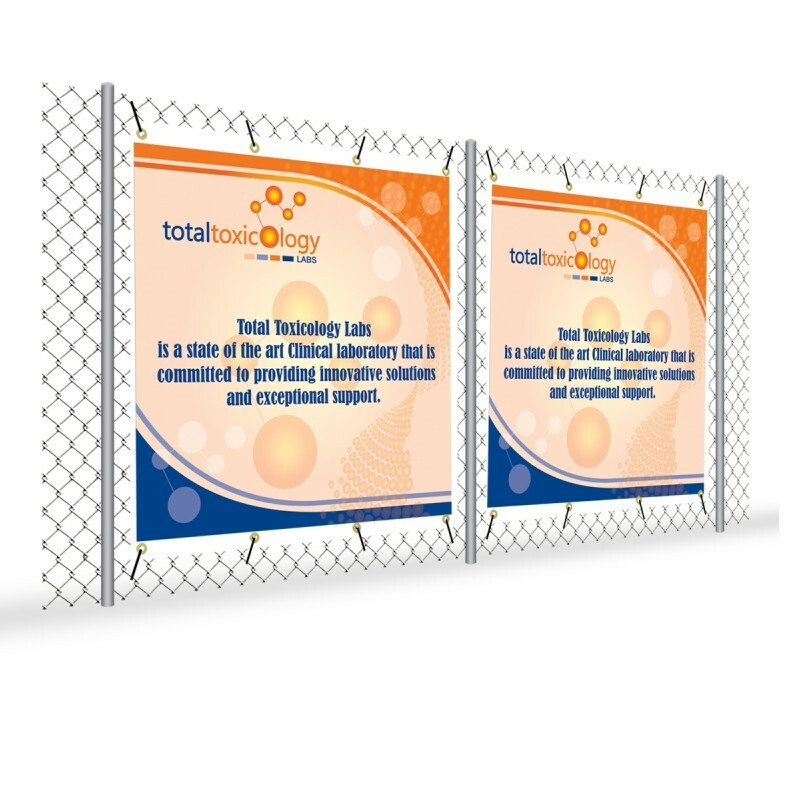 For instance, if you want to promote your business at various outdoor events and street fairs throughout the year, a custom printed fence wrap might be the great investment for you. These high-quality signs come printed on a long roll on repeat. They are designed to be disposable, so that you can simply snip off how much you need for the event in question, and then discard it at the end of the day. Simply repeat at the next function! The repeating roll is a handy way of having signage on demand that doesn’t require a lot of cleanups. What do other successful companies do? Before you invest in advertising materials, play detective. As you are out and about, observe what types of advertising materials are effective for successful companies in your community. They don’t have to be your competitors or even the same type of company--simply observe what type of advertising materials are eye-catching and attention-grabbing. For instance, if you see that a business a few towns away is commanding attention with an advertising inflatable, you might want to look into that as an option for your company. Often, companies will make advertising materials part of their marketing plan and budget. If you have a specific budget set aside for advertising materials, then be sure to scope out options that are within your budget. If you haven’t worked with many advertising materials before, then take some time to do a little research. Browse the Above All Advertising site and see what items appeal to you; ask for a free quote for your project. This can help you determine how to set a budget for your advertising materials. Take some time to consider logistics. Where will you display your advertising material(s)? Will it be in a retail store? Outside of a warehouse? Or perhaps you’ll be displaying at outdoor street fairs. Knowing where the item in question will be displayed can help you narrow down your choices. For example, if you’re displaying an A-frame sign outside of your business in an indoor mall, a chalkboard option as pictured above might be ideal, because it can be personalized with daily specials and you don’t have to worry about rain washing the print away. Is it for short term or long term use? Do you want to purchase advertising materials to employ the long term, or are you having them made up for a particular promotion or new product release? This can inform how you proceed with your order. For example, say you’ve decided to print customized chef aprons. If you’re printing them with your basic logo, you might want to print more units than if you were printing them as part of a specific release or time sensitive promotion. Particularly with outdoor signage, there can be zoning laws or community rules that you need to adhere to with placement and size. Be sure to check the city’s zoning rules or check in with the business bureau to see if there are any particular standards that must be met, so that you can be proactive in making sure that your advertising materials are made to meet these standards. Be sure to consider how many units you need before choosing a promotional item. Often, ordering in multiples can have the benefit of lowering the price per unit of products. For instance, say you’re considering ordering market umbrellas for your restaurant chain. If you order a single umbrella, the price will be a little higher, but if you order 10 or more, the price will drop by 10%. This makes it well worth considering ordering more; it can reduce overall advertising costs, and help you make a real impact with your branding. Does it reflect our company culture? When considering advertising materials, it’s important to think about the size, scale, and logistics of the item. But don’t just think about function: consider form, too. Does this item appeal to you aesthetically? Does it promote the image that you want your company to project? Don’t invest in a particular sign or promotional item just because you think that you should. Choose advertising materials that speak to you and your company culture, which reflect the image you want to project to the world. How will this benefit me in the long run? Think in the long term when considering advertising materials. Consider not just your company’s status and size right now, but what you’d like it to become. Use your advertising materials to help work toward your greater company goals. Creating professional quality advertising materials can help project the image of success that you want for your company, so be aspirational when making choices. This increased reach and brand awareness can work to make those dreams a reality. Conclusion: Choosing advertising materials can sometimes be challenging with so many options available. By asking yourself these questions, you’ll gain more clarity on your needs and goals, which can give you insight on what types of advertising materials are the best choice for your company. What type of advertising materials appeal most to you?